Thirty (!) 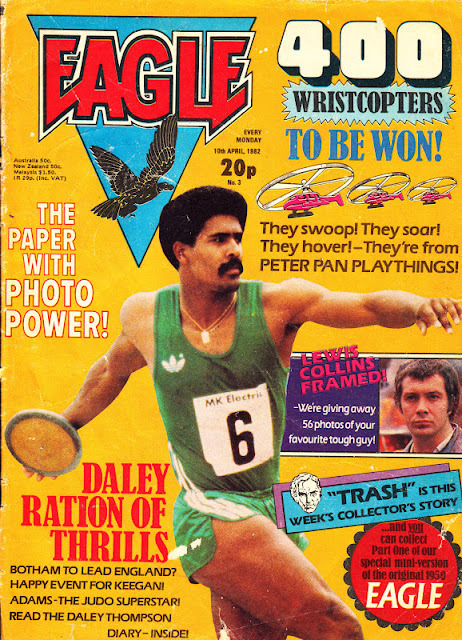 years ago this week, IPC's big new launch of 1982 hit newsagents shelves in a (relative) blaze of publicity. 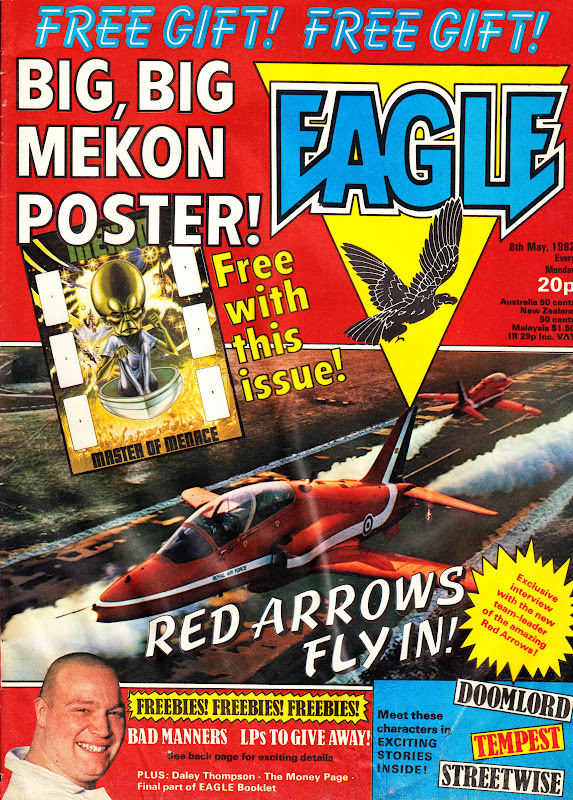 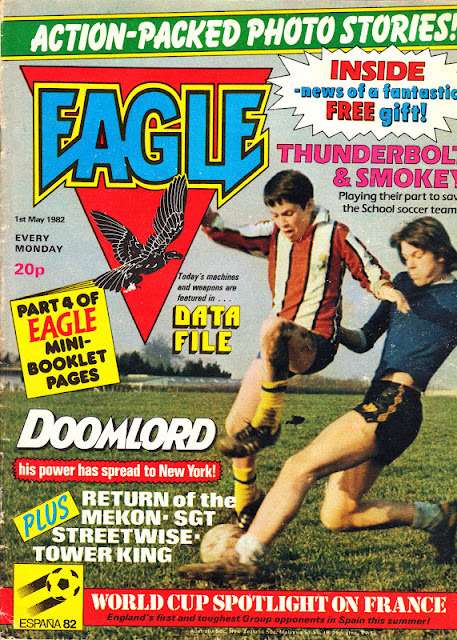 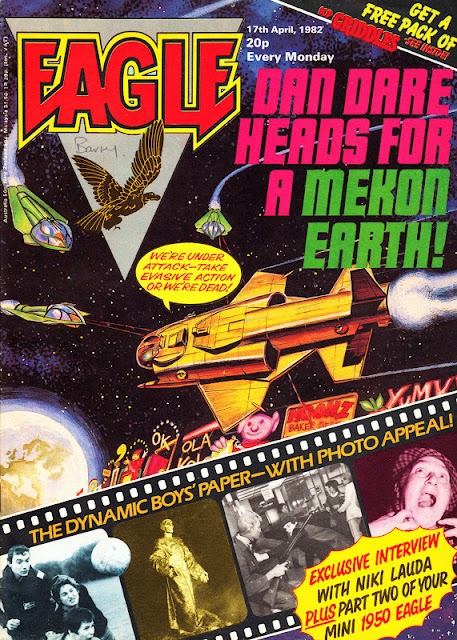 The EAGLE (1950-1969), and Dan Dare (last seen slumming it, albeit in-name-only, in 2000AD) were back! 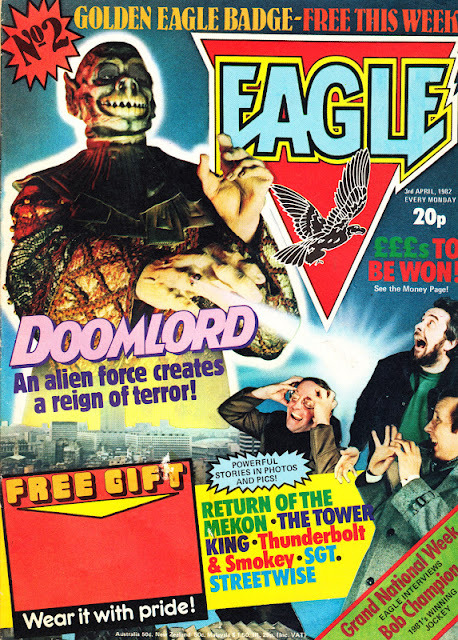 The relaunch was radical stuff. 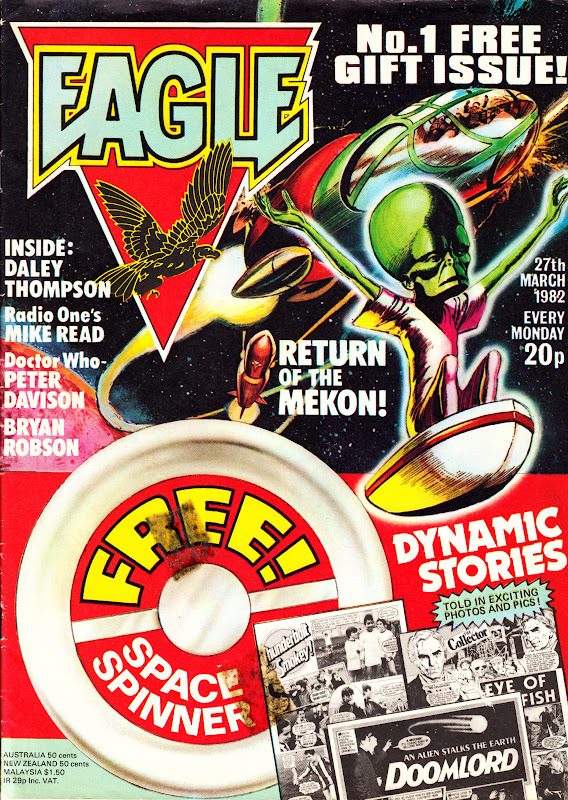 Traditional comic strips (notably Dan Dare and The Tower King) were still in the mix but the big selling point was photo-strips, a storytelling device previously reserved for girls' romance mags. 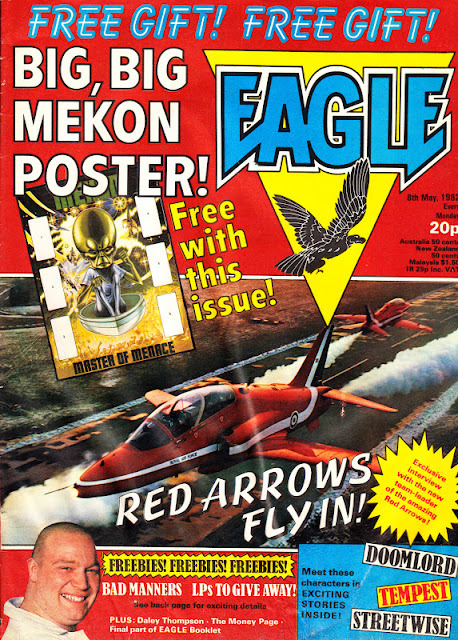 And the photo-strips required better paper and printing to make them readable. 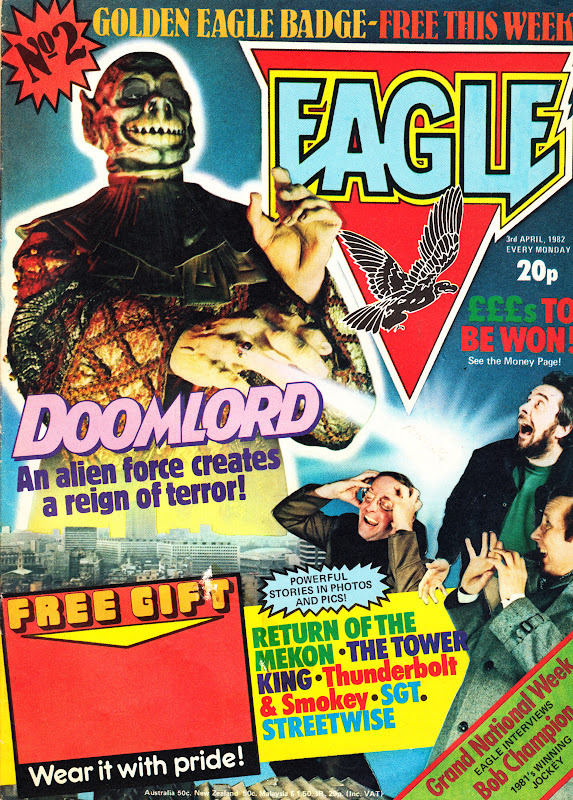 Of course, it wasn't rocket science to realise the limitations (and the inherent costs) of such new-fangled storytelling techniques. 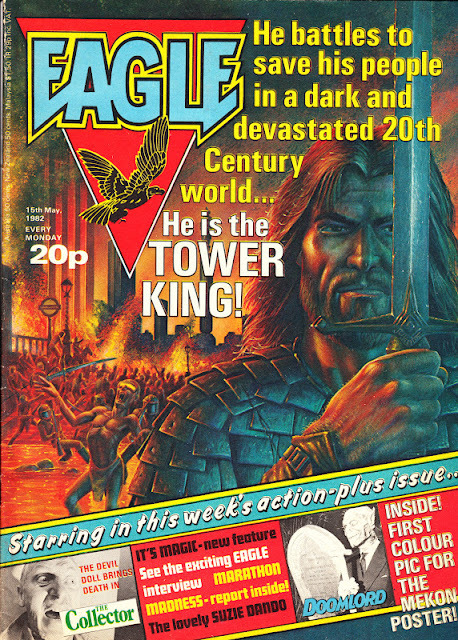 Which is why IPC cut costs (and production standards) 18-months later and relaunched EAGLE as a traditional comic with bog-standard (and quality) paper and printing already familiar to readers of 2000AD, TIGER and BATTLE. 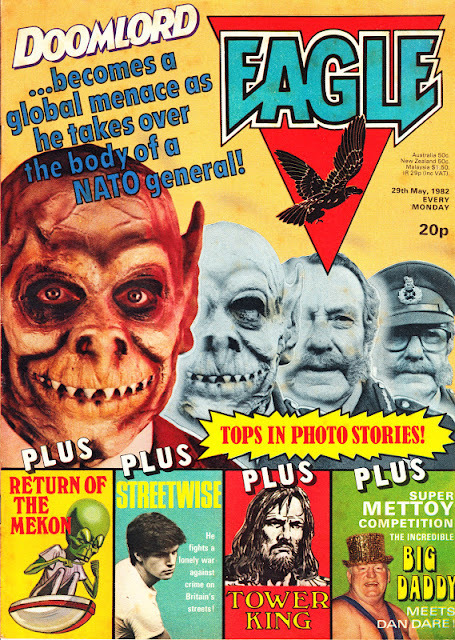 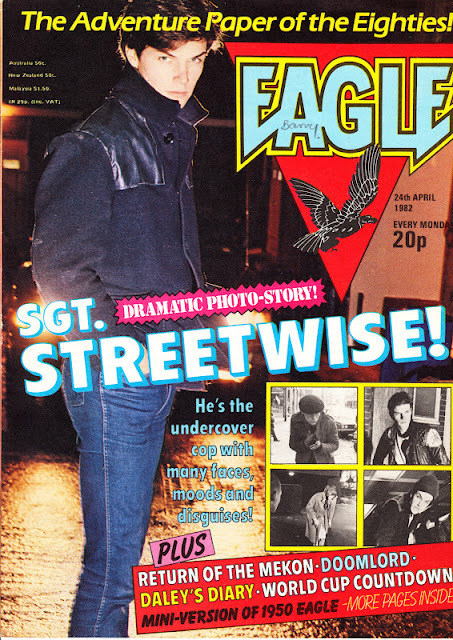 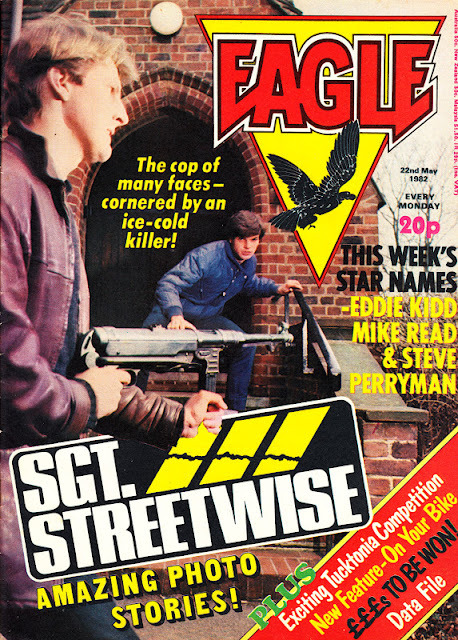 Despite the early set-back, the EAGLE soldiered on into the 1990s (albeit in a much diminished, and monthly, form in the final years) becoming almost last-man-standing in the boys comic field (having absorbed SCREAM!, TIGER, BATTLE, M.A.S.K and WILDCAT along the way). By the time it finally slipped away, most of its reprinted content was accumulated from other titles despatched to the Fleetway vaults. To celebrate the anniversary, Slow Robot presents, over the coming days, all the covers from the photo-story era (and the first few from the bog-paper period for the sake of completeness).